Doesn't this like such a great box?! The Giveaway will close late on the evening of August 16th. The winner will be chosen at random through Giveaway Tools. The winner will be announced both on Giveaway Tools form as well as notified by email and announced on Mommy's Obsessions Facebook. Winner must respond within 48 hours of receiving their winner's email otherwise they will forfeit their prize and a new winner will be chosen. The winner will have their prize sent to them by 21 Bundles. 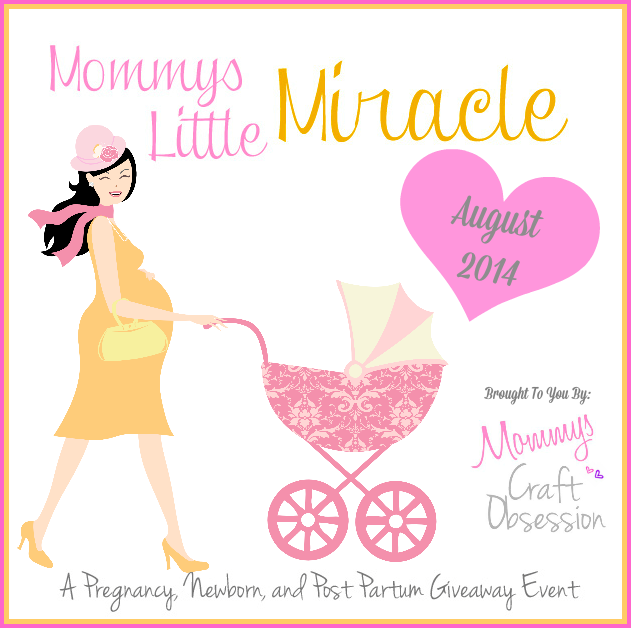 Mommys Craft Obsession and other participating bloggers are not responsible for prize shipment. Must be 18 years and older. Facebook, Twitter, Pinterest, and Google are in no way affiliated with this giveaway. No Purchase Necessary. Void where prohibited by law. US Only. For any questions contact Mommy's Obsessions. 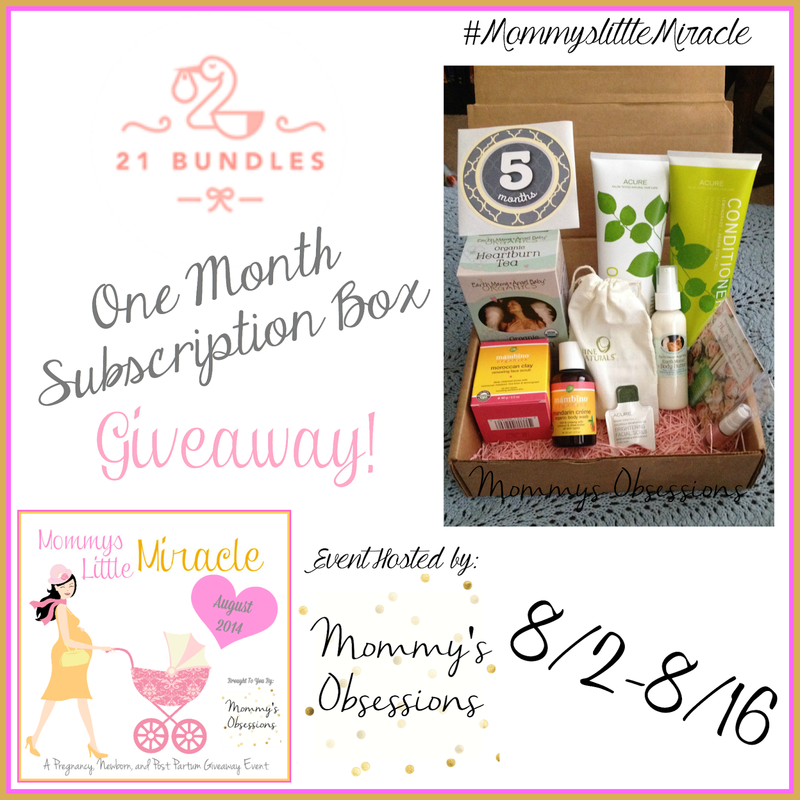 Mommys Obsessions did receive compensation or product in exchange for the promotion of this event. This blog did not receive compensation for the promotion of this event. 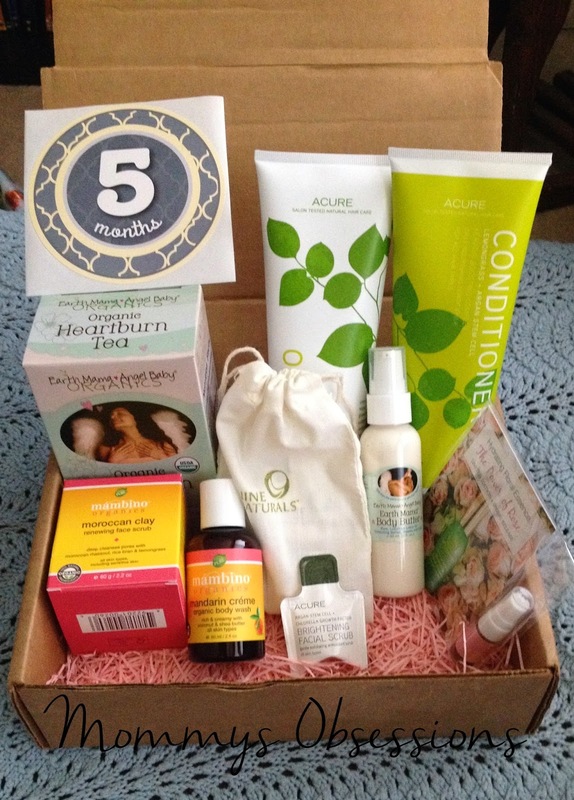 I would love to win this for my niece who is about 5 months pregnant with a boy. Thanks for the chance. I have a 7 month old grandson, Joshua and this prize would go to him, thanks!! Oops, I misunderstood the prize and meant to say that this prize would go to my daughter who has a 7 month old son, thanks so much! !